The federal district judge who presided over the public corruption case against Sen. Robert Menendez (D-NJ) that ended in a mistrial in November, acquitted Menendez and his co-defendant, Dr. Salomon Melgen, on 7 of 18 public corruption counts in a decision released on Wednesday. Last week, the Department of Justice announced its intent to re-try the case against both Menendez and Melgen, who was convicted on 67 felony counts of Medicare fraud in April. 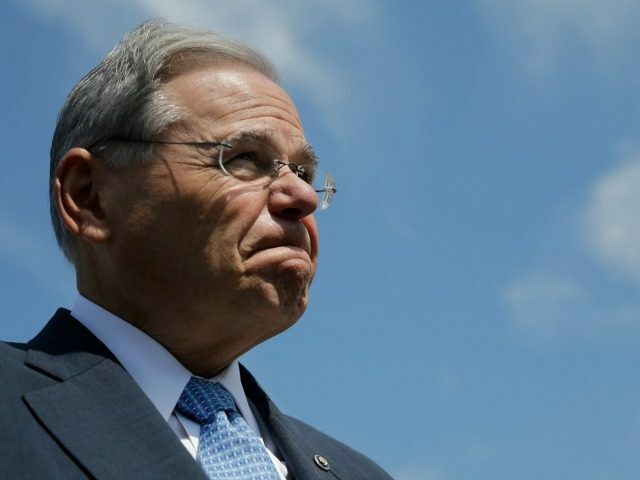 “In an opinion filed on Wednesday, U.S. District Judge William Walls denied defense requests for a judgment of acquittal on all charges, based on the evidence presented in the first trial against Menendez and his co-defendant, Salomon Melgen,” NJ.com reported. But quoting Gertrude Stein, the judge declared “there is no there there,” in tossing seven major charges against the two men involving political contributions involving hundreds of thousands of dollars in contributions by Melgen to several political committees with ties to the senator. “A rational juror could not find that Menendez and Melgen were aware of the terms of the alleged quid quo,” Walls wrote in his opinion. Walls left in place charges that Melgen allegedly provided Menendez with private jet flights and lavish vacations in exchange for political favors. Walls also left in place what is widely regarded as the toughest charge for Menendez to beat: That he purposefully filed false financial disclosure statements that left off Melgen’s gifts. The acquittal on the seven counts could substantially shorten Menendez and Melgen’s retrial. The last trial ran two and a half months. At the end, juror Ed Norris said 10 of the 12 jurors wanted to acquit the senator. Legal analysts called the decision a win for Menendez and his co-defendant, but not the end of the federal government’s case against the two men. Robert Mintz, a criminal defense attorney at McCarter & English and a former federal prosecutor, also said the judgment of acquittal on several bribery counts hands a victory to the defense, but left much of the case intact. Judge Walls “also announced he will not preside over the retrial,” Politico reported. Attorneys for the two defendants responded quickly to the judge’s decision. The Department of Justice responded cautiously. “The Justice Department is reviewing the judge’s order and considering its next steps, a spokeswoman, Nicole Navas Oxman, said,” Bloomberg.com reported.